Our range of products include optical visual ampoule inspection machine, semi automatic vials and bottle inspection machine, optical visual vial inspection machine and visual inspection table. 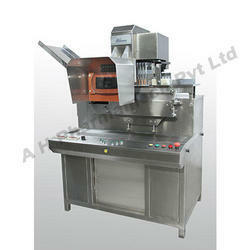 We are involved in offering Optical Visual Ampoule Inspection Machine to our valuable customers. Known for their consistent performance, energy efficient design and low maintenance, these products are available with us in various technical specifications. 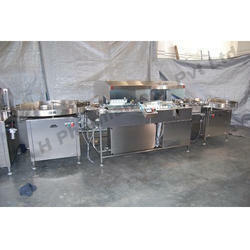 The offered product is made with the help of latest machinery in accordance with set industrial standards and norms. 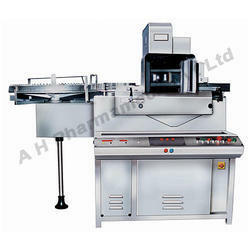 Our organization is devoted towards offering a qualitative range of Semi Automatic Vials and Bottle Inspection Machine. Electrical Rating Main Machine: 0.5 Hp, 1440 Rpm >< 02 Nos. Power Characteristic Turn Tables: 0.25 Hp, 750 Rpm >< 02 Nos"
Appreciated as the most recommended company, we are engaged in offering Optical Visual Vial Inspection Machine. 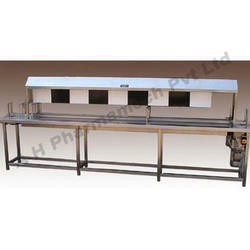 We have marked a special niche in the global market by offering superior quality Visual Inspection Table. Number Characteristics: 0.5 Hp / 220 Volts / 50 Hz.